Friends of the River (FOR) is California’s statewide river conservation organization. Working to protect and restore rivers for more than 30 years, it has played a key role in improving hydroelectric operations in the state. 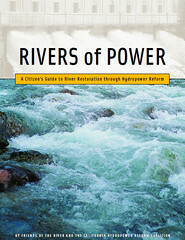 The California Hydropower Reform Coalition (CHRC) unites and coordinates over 35 organizations dedicated to protecting and enhancing California rivers affected by federally-regulated hydropower dams. CHRC members work to ensure hydropower projects are operated to support the full range of benefits our rivers provide, including the protection of fish and wildlife habitat and public recreation opportunities.